If you visit Philadelphia, you know the first things your friends will ask: Did you see the Liberty Bell? It's easy to find, just across the street from Independence Hall, where the Declaration of Independence was signed. But there are so many more things to do in Philadelphia than just a cracked dinger. The next time you're in Philly, here are 10 memorable, fun activities to help you fall head over heels for the City of Brotherly Love. 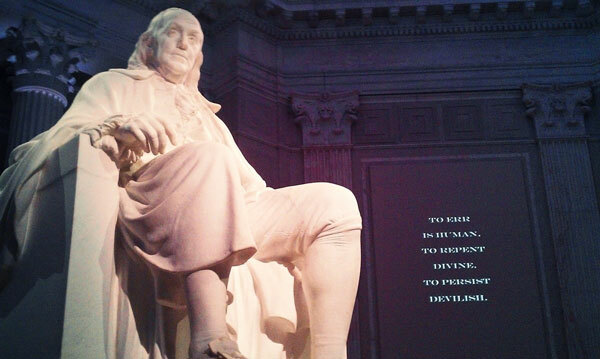 1) Pay homage to a founding father: One of the top Philadelphia CityPASS attractions, Franklin Institute explores the legacy of one of our nation's most brilliant founding fathers and Philly native, Benjamin Franklin. The Institute is one of the country's best science museums. If you're a space geek, you'll love the observatory's telescopes where guests can view most planets and bright stars, star clusters and a few galaxies. Many already know about Franklin's interest in electricity (no, he didn't discover it), and one permanent exhibit lets visitors become a conductor for static charge, and to see the electrical impulses inside their own muscles. With a CityPASS ticket, guests can see the Fels Planetarium show at no extra charge. On May 9, the Institute will debut a stunning Genghis Khan exhibit. 2) Let the juice from a cheesesteak dribble down your chin: This iconic Philly feast is a long, crusty roll packed with thinly sliced, sautéed ribeye beef and melted cheese. Its other toppings often include fried onions, sautéed mushrooms, and hot or sweet peppers. John's Roast Pork is one of the top purveyors, having been a favorite of local dockworkers since the 1930s. 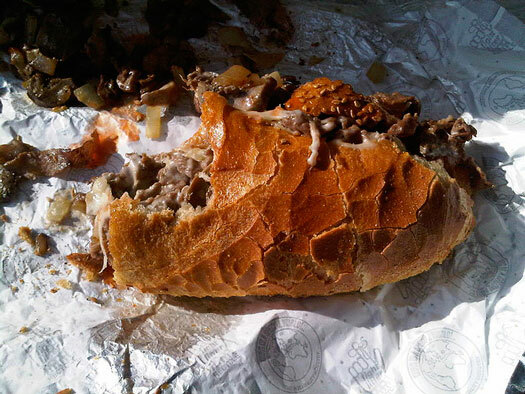 Before you go, check out CityPASS's guide to Philadelphia cheesesteak etiquette. 3) Get in touch with your whimsical side: Philadelphia's Magic Gardens (PMG) is best described as a playful, three-dimensional, mural maze. 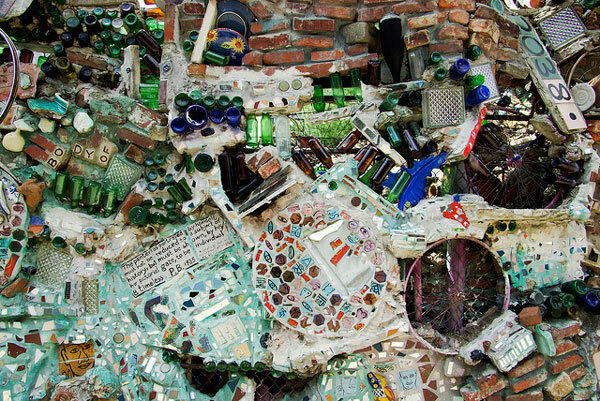 Outside PMG is a garden of mosaic creations by artist Isaiah Zagar. Over 14 years, Zagar excavated tunnels, sculpted walls, and tiled and grouted a wandering, 3,000-square-foot wonderland. Inside, there are folk art statues, bicycle wheels, colorful glass, handmade tiles, and thousands of glittering mirrors. It's dazzling and different. Check out our list of other quirky places in Philly for other interesting things to do on your trip. 4) Marvel at a masterpiece: If your taste in art leans toward colorful, captivating Post-Impressionist and Modern paintings, The Barnes has a fine collection of more than 3,000 works, including Renoirs, Cézannes, Matisses, Picassos, Modiglianis, and Van Goghs. In addition it has an impressive array of textiles, metalwork, decorative objects, African sculpture, Native American ceramics and jewelry, and even some Pennsylvania German furniture. Book tickets online in advance, because it frequently sells out. 5) Take in a ball game: At Citizens Bank Park, there are no bad seats. Known for its classic, old ballpark ambiance, great views and terrific food, this is a great place to spend an afternoon rooting for the Phillies. Or, I suppose you can root for the visiting team if you're up for some friendly heckling. Stop off at "Bulls BBQ" and get your picture taken with Phillies great Greg "the Bull" Luzinski. There's also an amazing kids section for the kids, full of games, a slide and tubes to explore. It's truly one of the best ballparks in the country. 6) Go to prison: The grand, foreboding Eastern State Penitentiary provides a grim, sobering glimpse back at the city's history of crime and punishment. It's also a popular Philadelphia CityPASS attraction. Built in 1829, it housed infamous criminals such as Al Capone. It's mostly an outdoor, audio walking tour narrated by actor Steve Buscemi. 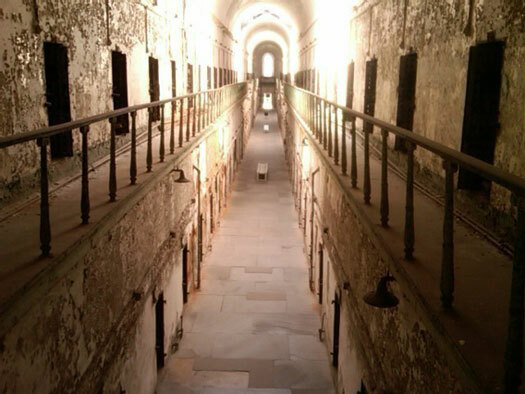 Located in downtown Philadelphia, the tour includes views of the cellblocks, solitary confinement cells, the hospital, death row and Scarface's cell. 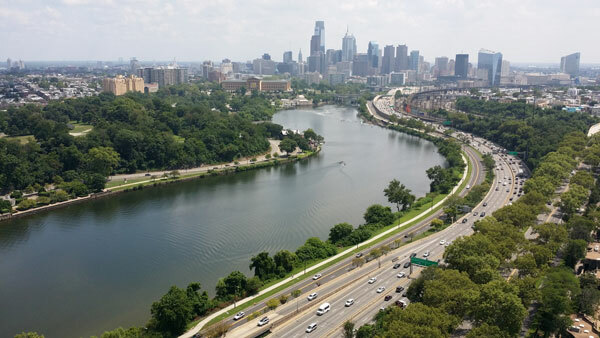 7) Hike the trail and climb the stairs: Schuylkill River Trail is a great path for jogging, bike riding, rollerblading or an easy stroll. Along the trail into the city, you will pass sculpture parks and enjoy views of the river. One stretch takes along Boathouse Row, which is a landmark of 19th century boathouses where rowers train and colorful regattas are held. At night, boathouse lights cast a gorgeous reflection on the water. Near the end of the trail, you can run up the steps of the Philadelphia Museum of Art, just like Rocky Balboa. 8) Enjoy a local ale: Microbrew lovers will find a garden of joy at Yard's Brewing on N. Delaware Avenue. These are renowned, serious brewers drawing gorgeous British-style ales including IPAs and stouts. The lunches are reasonably priced and you might want to try the hearty bison chili, featuring meat from animals that feed on the brewery's spent grain. Now that's recycling. 9) Tour a treasury of oddities: The Mütter Museum doesn't shy away from displaying its jolting collection of medical specimens, including pieces of Albert Einstein's brain. It has beautifully preserved collections of anatomical curiosities, models and medical instruments. One of its displays has 2,374 inhaled or swallowed foreign bodies that Dr. Chevalier Jackson extracted from the throats, esophaguses, and lungs of his patients during his nearly 75-year practice. If you don't find that hard to swallow, you're in for a treat. 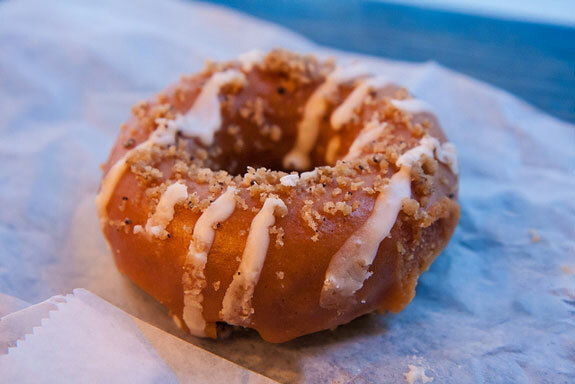 10) Indulge in a doughnuts: I don't know how hungry you'll feel after looking at jars of peculiarities, but if you have to make a munchies stop, go to Federal Donuts for outstanding doughnuts and fried chicken. Don't be shocked if there's a line. Their flavors range from the traditional to the daring (grapefruit brulee? Bring it on!). And there's nothing like some fine, fried chicken with a galaxy of glazes. No room for gluten-sensitive up in here.